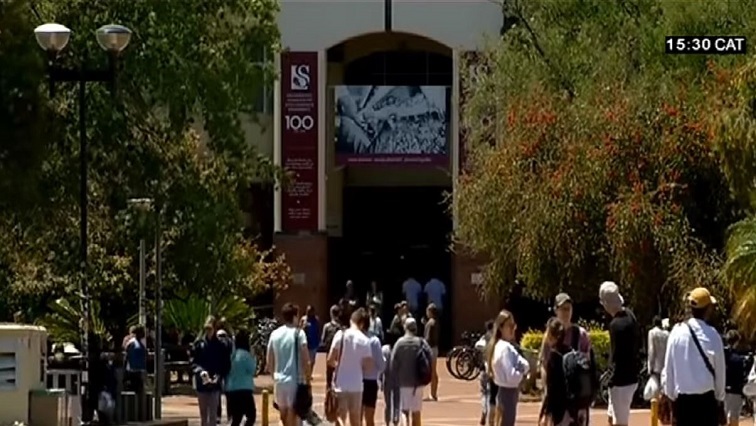 Stellenbosch University ready to welcome new students - SABC News - Breaking news, special reports, world, business, sport coverage of all South African current events. Africa's news leader. The students will each receive a card on which they can write their dreams for themselves. Stellenbosch University (SU) says it ready to welcome more than 5 000 new students this week as they start their academic journey. The new Maties will amongst others, meet the University’s mascot, Pokkel, and will also be addressed by Rector, Professor Wim de Villiers. SU spokesperson, Martin Viljoen, says students will gather on the university field to form a massive “2019”, symbolising the newcomers’ integration into their new community. “A new addition to the programme is the newcomer marching from the stadium to Victoria Street on the campus as part of a “Dream Launch” that symbolises the start of their journey to realise their dreams. The students will each receive a card on which they can write their dreams for themselves. These cards will then be placed at various points on the route, especially in Victoria Street,” says Viljoen. This entry was posted on 23 Jan 2019,04:25PM at 4:25 PM and is filed under South Africa. You can follow any responses to this entry through the RSS 2.0 feed. Both comments and pings are currently closed.